There are a lot of people who believe marijuana use is harmless and only helps, especially if it is used to manage chronic pain or symptoms from other conditions. But research is showing that marijuana use can negatively affect people as well. Not only those who use the drug regularly but those who suddenly quit using it. Marijuana has many stated beneficial medicinal uses, however, it can also adversely affect people who overuse it. A lot of people who support legal cannabis use believe that marijuana is totally safe and non-addictive. Unfortunately, that is not the whole truth. Chronic marijuana use can cause a myriad of problems. Excessive marijuana use can become a problem over time and lead to a dependency on it. There is a diagnosable Cannabis Use Disorder definition in addition to defined Cannabis Withdrawal Syndrome in the DSM-V (Diagnostic and Statistical Manual of Mental Disorders, Fifth Edition). Around 30% of people who use marijuana regularly will suffer from Cannabis Use Disorder or have marijuana dependencies. As well, a psychological addiction can develop whether you use marijuana medicinally or recreationally. A person who is dependent on marijuana is someone who needs the drug to feel ok or feels unwell when they do not have the drug. People who are cannabis addicted think about the cannabis drug all the time and it becomes a higher priority than other more important things in their lives. Often they will make bad decisions that are not good for their lives because of their need. They may start to take the medication differently than how the mmj doctor has prescribed it, by taking more or using it differently than prescribed. As with any drug, including medical marijuana, the user may not be able to stop using it even if it is causing problems with their job or relationships. Most people who are marijuana addicted are not able to admit there are adverse situations arising because of the amount of the mmj drug they are using. Addictions are compulsive behaviors that are continued despite the ramifications of that use. 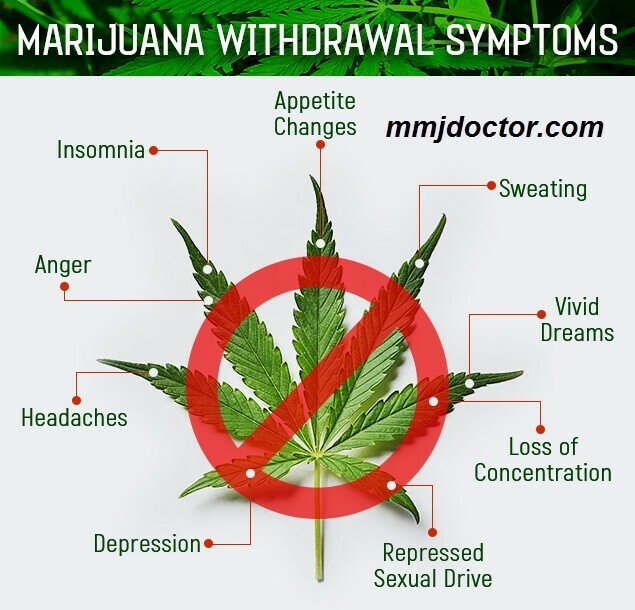 Marijuana withdrawal is a real thing and indicates a marijuana addiction. However, when stopping any drug there can be physical and psychological responses that are not pleasant. Weed withdrawal: Having a Bad Day? Some chronic marijuana users may not realize they are suffering from mmj withdrawal. Some symptoms are attributed to being in a bad mood, being short tempered that day, or they may feel it is another person’s fault because they’re being irritating. A chronic, long-term user will be more likely to suffer from marijuana withdrawal symptoms when they aren’t using than the occasional user. The cannabis withdrawal symptoms are a consequence of the interaction of the primary drugs within marijuana on certain parts in the brain, called cannabinoid receptors. These cannabinoid receptors control our bodies, physically and psychologically. This helps our bodies and brain live in a steady, safe state. People who are chronic marijuana users may experience chemical changes when they suddenly stop using. This happens while the receptors return to their normal state, meaning prior to changing the receptors with the overuse of marijuana. Marijuana withdrawal is not dangerous like some harder drugs, but users will likely be uncomfortable. Other addictions (alcohol, cocaine, etc.) 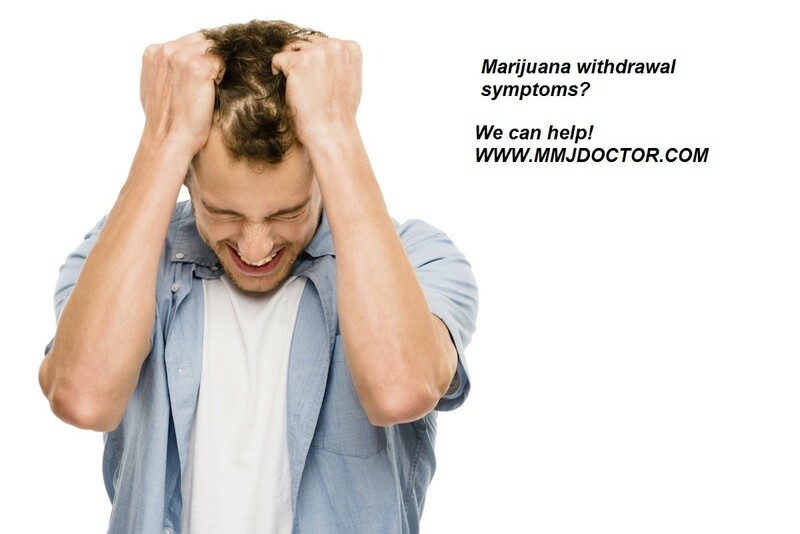 can make the symptoms of weed withdrawal feel worse, depending on the individual’s need for marijuana. Chronic weed users are more likely to find the marijuana withdrawal very difficult. 50 percent of heavy marijuana users will suffer from weed withdrawal symptoms if they suddenly stop smoking pot. Most symptoms stop in less than a week but the symptoms are strong. The length of time most experience pot withdrawal symptoms is somewhat different for everyone. Chronic pot users often start feeling withdrawal symptoms within a few hours after stopping use. Some symptoms will last 2 -3 days and others can last up to 3 weeks before slowly disappearing over time. Usually within hours of stopping marijuana use feelings like irritability and anxiety may develop as well as insomnia. On the second or third day, there can be extremely strong cravings, stomach pains, sweating, and chills. Between the fourth and fourteenth days, pot withdrawal symptoms will generally start to dissipate, however, depression can start as the brain chemistry adapts to the lack of marijuana. Dreams may become extremely vivid and unpleasant, and cravings may still be strong even into the second week. Usually, the withdrawal symptoms decrease exponentially after three weeks. People who have more severe psychological issues might suffer from depression and anxiety for months afterward. Usually, however, most people will experience a peak in weed withdrawal symptoms after about 2 weeks and a swift decline afterward. Since most of the science that assesses the risk of drug use considers chronic marijuana use to be very low on the addiction scale (compared to nicotine, alcohol, etc.). 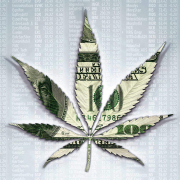 It is estimated that 9 percent of people who use marijuana will become addicted. That percentage increases dramatically with those who start using marijuana as teens. The chances of becoming addicted after the age of 25 are almost 0 percent. For those who use pot recreationally once in a while, there is not likely to be a risk of experiencing any type of weed withdrawal symptom. But those who have a predisposition to marijuana addiction will stand a much greater chance of becoming addicted and experience weed withdrawal symptoms from marijuana. Marijuana withdrawal is a real thing. Repeatedly using marijuana will over stimulate the cannabinoid system and can slow the brain’s response to supply dopamine (an essential neurotransmitter which helps control the brain’s reward and pleasure centers, and helps regulate movement and emotional responses), which is naturally produced in the brain. This can make weed withdrawal symptoms feel that much worse. However, since marijuana does not have any chemicals that can “hook you after just one use”, it’s a conundrum as to whether marijuana use is physically habit-forming or neurologically addictive. But like anything, if you use something every single day, even a harmless, psychoactive drug, you will miss it once you do not have it anymore. Marijuana withdrawal is something to ride out if a user decides to suddenly stop. It’s not something that can be fixed. Now on the other side, people who are suffering from alcohol and other chemical additions may find that marijuana use gives them some form of relief while suffering the withdrawals from those drugs. Marijuana use is not physically addictive and there has never been a direct case of overdose. Marijuana has been proven to protect against chemotherapy-induced nausea and vomiting, and extracts relieve pain in advanced cancer patients. It has been shown to relieve neuropathic pain in patients with HIV and relieve muscle stiffness in patients with MS. Low doses of marijuana has proven to provide relief from tics from Tourette syndrome. 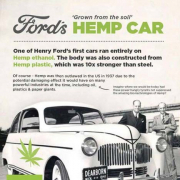 It has also proven to help alleviate symptoms of other health issues including Lou Gehrig’s Disease/ALS, bipolar disorder, glaucoma, Huntington’s disease, Colitis/Crohn’s disease, nausea, pain, Parkinson’s disease, Post Traumatic Stress Disorder, Psychosis/Schizophrenia, and Rheumatoid Arthritis. Melatonin is a protein in our brains, which is responsible for sleep regulation, hunger, and nausea. Using marijuana causes our body’s melatonin levels to surge way over normal by up to 4000 percent. Since our bodies can’t possibly produce enough melatonin on it’s own to maintain that huge release when we use marijuana every day, we drain our melatonin reserves dry and we have nothing to help us sleep. The only way to replenish our melatonin levels is to take a break from marijuana for a couple weeks, eat healthily, and exercise so that our bodies can produce more melatonin on its own, or we can take melatonin supplements. There have been studies on marijuana use and the effects of REM sleep. REM sleep is when our brain dreams and marijuana use before bed seems to decrease the intensity of REM sleep. However, less REM has shown to provide a more restful sleep. Because regular marijuana use just prior to bed has been shown to decrease REM sleep, when marijuana withdrawal is experienced there is a rebound effect. Increased REM sleep causing sleep disturbances and very vivid dreams can occur. This symptom of weed withdrawal can last up to 8 weeks. There is a strong possibility of irritability, bad moods, and frustration while withdrawing from marijuana use, however, there have been recent studies showing that some states with legalized medical marijuana dispensaries have experienced a reduction on other drug-related deaths. Other studies have shown less domestic violence with marijuana use when compared to alcohol and other drug-related instances. Marijuana use can be beneficial in so many ways and even though the withdrawal symptoms are real, for many, the results of marijuana use may outweigh the weed withdrawal symptoms. To schedule your in-person evaluation with California Licensed Medical Marijuana Doctors in San Francisco or San Jose follow this link.